We don’t simply ease your workplace, we cross few more mile. We are top commercial cleaning Sydney based company that provides top-notch commercial cleaning services Sydney region. We understand how crucial your workforce’s running surroundings is, and the way their space is critical to them. We like to suppose we’re invisible because we clean everything and leave everything just the manner we located it. Our commercial cleaning company has been cleansing places of work and agencies in Sydney for over 10 years. We offer professional cleaning offerings to very large agencies and really small ones. Our business office cleaners will usually make certain that you have got a clean and alluring environment to work. We offer our cleaning services all over the Sydney especially north Sydney, Eastern Suburbs, Bondi, Penrith, Sutherland Shire, Campbell Town, Alexandria, and Blacktown etc. Professional appearance and properly maintained workplace are what matters the most for any commercial business owner. With the help of West Link Services commercial cleaning services in all over Sydney, you will see an expert image of any commercial enterprise. Even if it is banking or some other enterprise where clients visit your office regularly, the first issue they may search for is the atmosphere of your workplace and whether or not it’s miles maintained smooth or no longer. Each day several hundred site visitors go to the bank for enterprise and economic transactions. Subsequently, it is very crucial to maintain it easy and neat. Many banks nowadays have interaction with professional cleaning companies to perform cleaning at the financial institution premises because it takes a lot of cleaning efforts and time. We at West Link Services offer professional bank cleaning services that are dependable and low priced. Our bank cleansing offerings include sweeping and mopping the flooring; dusting and cleansing the furnishings; wiping, cleaning of the lightings and fixtures and; cleaning doors and home windows. We offer custom designed cleaning services to fit every bank’s requirement. Our staffs are rather experienced in bank cleaning and are reliable and truthful. They easy and shine every nook of your bank and shine them to electrify your traffic. Many clubs require commercial cleaning services at night to save the disturbance to the participants all through the day and if it is a nightclub cleansing is completed within the day. Therefore, at West Link Services we offer Commercial cleaning services all over the Sydney 24/7 including weekends. We use a heavy device for cleaning and adopt necessary safety measures as golf equipment have expensive furniture and furnishings. Hygiene, Cleanliness, and ambiance are three essential elements that wish to be given due attention when you are in the hospitality industry. With clean and nicely maintained rooms and outside, the visitor will like to go to your inn often and also can encourage others to go to the place. In case you need to make certain smooth and inexperienced cleaning at your resort then we at West Link Services offer satisfactory commercial cleaning services Sydney. Maintaining cleanliness to viable excessive requirements at your Hotel. Use of superior heavy system for cleaning your hotel fast and correctly. Whether small or massive, it’s miles vital for each shop owner to maintain cleanliness to draw clients. Smooth restrooms, high polished flooring, and dirt free counters are what customers anticipate whilst they may be in your shops. Apart from the products you offer, cleanliness at your stores will virtually affect customers’ decision. With market turning more and more competitive it is essential to draw and hold customers to stay far from the competition. Hiring commercial cleaning company like West Link Services can relieve you from cleaning issues. We appoint trained cleaning personnel and use superior heavy equipment for cleansing to make sure dirt unfastened environment, due to the fact clients are not interested in shopping stuff from a place which smells and is unclean. 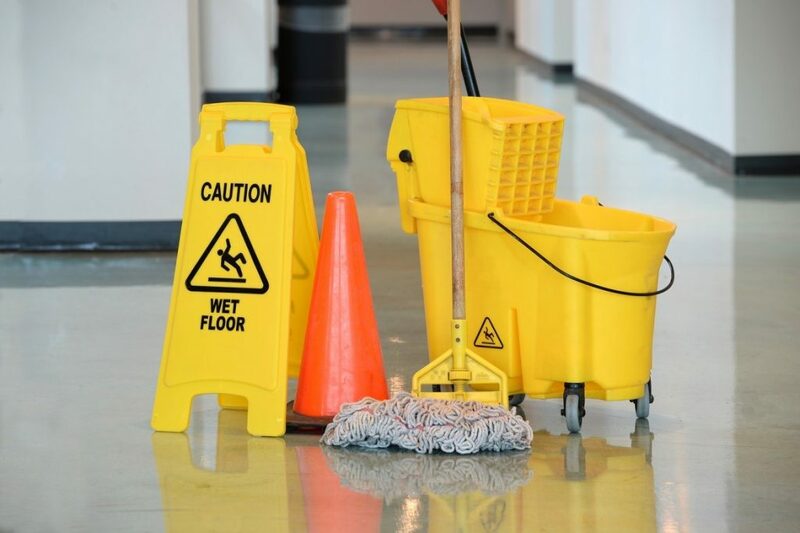 At West Link Services we offer low-cost fees for all sort of commercial cleaning services in Sydney and provide highest requirements for cleaning. We remember that no two stores are identical and require exclusive packages, therefore, we offer custom quotations based on area and requirement of Store. Our commercial cleaning packages include cleansing restrooms, parking, product counters, sweeping ground, mopping ground and glass cleaning. Today hygiene and cleanliness are given high priority in faculties and educational establishments. Many faculties experience that cleanliness is the key thing for the fulfillment in their college students. Therefore schools are turning to high school cleaning contractors to make sure cleanliness and hygiene in the structure. Hiring an expert college cleansing company can create a quality viable environment for college kids to examine. Yours may be a big workplace or a small shop, a warehouse or a workshop, a manufacturing unit or a membership, an office or a constructing; we are able to without difficulty facilitate each of our individual clients’ specific cleaning desires. West Link Services is a complete commercial cleaning services provider in the whole town, with a unique emphasis on workplace cleaning. We clean to a finish all apparent and unnoticed locations, darkish corners, home windows, restrooms, foyer, cabins, etc. We also work on a timetable you put us up to whether weekly, fortnightly or month-to-month. We are available 24/7 at your doorstep. We’re in sync with you and your mind at the surroundings, so we use products that neither harms you and your staff, nor your environment. They are safe to use and are non-allergic and non-toxic so that you can work with a bit of luck at the same time as we ought to preserve you safe and happy.